I’ve always been disappointed with the album bloat that accompanied the CD era of music. Bands crammed ridiculous amounts of filler crap on CDs in an attempt to reach the 74 min maximum. Quality sacrificed on the altar of quantity. I’m of the opinion that 10 songs is a solid number. This gives the listener enough songs to get into the vibe but few enough that each song is given it’s due. Sometimes though a song can be so damn important that it deserves a little more of the spotlight, which is why 7″ records are sometimes my favorite format. Jon Snodgrass’ new 7″, Carpet Thief, is a fantastic usage of the medium. The first track “1-2-3-4” is one of the strongest songs he’s written and that’s saying something. On an album nestled in with 9 or so other tunes it might not get the attention it deserves but here it justifies release as a track on it’s own. There is something special about this one. Written in the wake of Teenage Bottlerocket drummer Brandon Carlisle’s passing the track manages to pay tribute to the departed through melancholy memories while giving a sly smile. 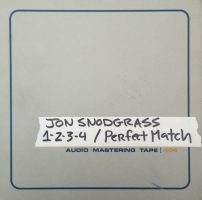 Snodgrass frequently uses the personal to make songs universal and this topic, this song, may be the best he has ever used this device. The details found in the lyrics are very specific to Brandon’s passing but the exploration of grief should feel familiar to anyone who has had to cope with the loss of a loved one. There tends to be an immediacy and off the cuff feel to much of what Snodgrass puts out, it’s part of the charm to his music. This song serves as a reminder that there is depth and repeated listening value tucked away just behind that “in the moment” vibe. The massive guitars and pulsing, dynamic arrangement are sonically complex in all the right ways. I don’t know if he felt this way when he wrote it but “1-2-3-4” seems like it’s going to be an important part of his catalog for a long while. The second track is “Perfect Match” is a bit older tune with a pretty cool backstory. This track was written to accompany a vampire themed comic book for Paper + Plastick. I remember hearing it awhile back and immediately loving the opening line “You’re not waking up..”. Perfect Match has Jon on vocals with all of the instrumentation by Stephen Egerton. It’s another great tune to add to Jon’s repertoire. Makes a nice pair with “Spiderman, Wolfman” for your halloween music mixes. Just a suggestion. As is often the case there are also demo versions of the songs included. I am a big fan of hearing the process behind songs, it let’s you peek behind the curtain a bit and sometimes yields insight to the artists intent. In this case you also get witness Snodgrass being admonished for interrupting his daughter by making too much noise writing a song. It’s a pretty cool moment, I’m glad he left it in. Go forth and download “Carpet Thief” from the Drag the River MP3 page. And stock up on some other tunes you may have missed over there while you’re at it. I’d never been into Rocky Votolato, and not because of any discourse with his music, it just hadn’t reached the top of my list of things to listen to until this split came along. 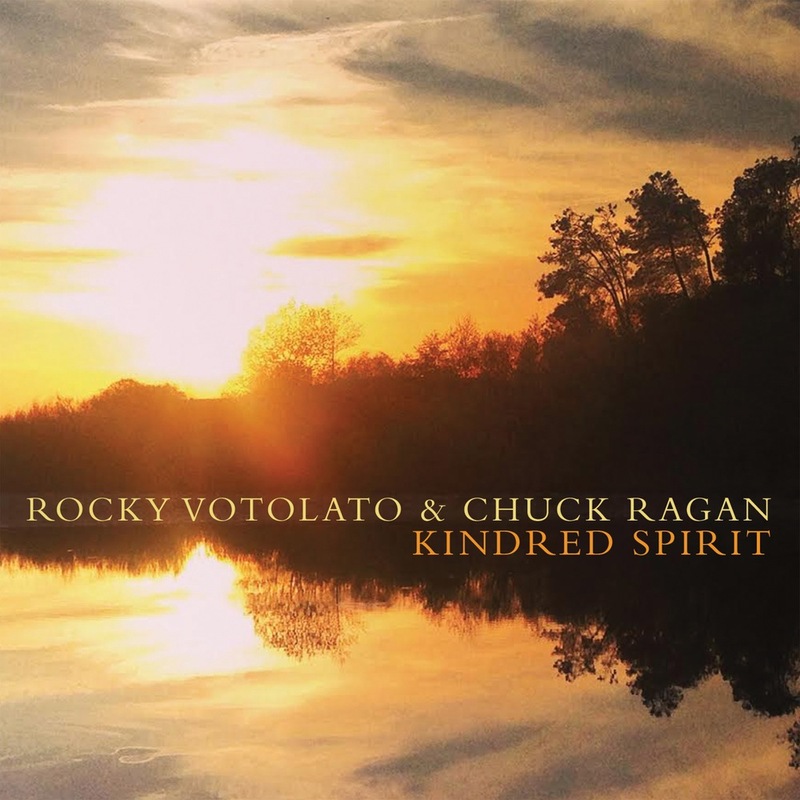 I am a huge fan of Chuck Ragan and all his musical endeavors, so when Kindred Spirit hit the shelves, I immediately put it into regular rotation. A great metaphor of life. A perpetual feeling that life is about to fall apart but the comfort and company of another is all you need to get through. Sparks of Recovery is a beautifully constructed tune that captures a great metaphor of life. The perpetual feeling this uncontrollable journey is falling apart, and yet the comfort of another will lead to resolution or perhaps just acceptance. Struggle and perseverance, whatever that may be. These songs server as a great reminder that resolution is in the hands of your own mind, so make of it what you need. Chuck Ragan’s side of the split does not disappoint. Three great tracks, with some fantastic guest’s helping him out on the vocals. Dave Hause, Jon Snodgrass, Ben Nichols, and Chad Price all make appearances. Chuck’s tracks all sound like they could have been included on his previous release “Till Midnight”, and made the already brilliant record, even better. “Vagabond” is a track you will recognize from Till Midnight, but the guest appearances make this a well deserving re-release. Rocky Votolato & Chuck Ragan – Kindred Spirit – ORDER HERE! What a rough day. Every electronic device I had was in full rebellion. That said, we managed to get through the show and even got some good tunage in. In the play list strikes your fancy carve out 2 hours for the archive of the show. I am trying something new with the track listing by including the album that the songs came from. Not sure if anyone actually reads these things but I thought that might be a useful piece of information that I was removing from the official playlist when I post it here. So lemme know if that’s something you appreciate/will use. Last week’s show turned out so good I consciously went into this show trying to duplicate it. The lesson here is that the show just needs to happen organically. It’s still a good show, I just feel like the playlist is a little forced at spots. That said, it’s about the music, not my DJ prowess and the music is top notch. I continue my unrelenting push of McDougall by reaching into his back catalog for a song that’s a must hear for fans of the Tim Barry ethos. There is also a song from Florida’s Owsley Brothers that’s all sorts of groovetastic and you never go wrong with a little Left Lane Cruiser and Rev. Peyton. Towards the end the show starts to relax and features one of my newest obsessions, The Great Unknowns. If all of this sounds like something you’d be willing to invest an hour into then put some ears on the archived stream of the show and thanks for tuning in. Below is the playlist for August 04, 2011. Jon Snodgrass recently released a new 7″ entitled The Tri-State Record featuring Chris Wollard, Addison Burns, Brandon Carlisle, and Stephen Egerton. He was kind enough to let me host a stream of the entire album for ninebullets’ readers. The 7″ can be purchased from Paper+Plastic and all purchases come with a digital download code. So enjoy it here, lemme know what you think in the comments and then go buy it. Damnit. This podcast was supposed to be posted the last weekend of April but when I made the podcast apparently my microphone was messing up, so I had to go back and rerecord all the parts where I was talking. As a result, it’s a little late but the music in this episode makes it worth the wait. This month’s podcast opens with what is, in my opinion, song of the year so far, “Highway 42” by Grayson Capps, and just keeps crushing from there on out. It features Matt Woods, The Only Sons, Have Gun Will Travel and Two Cow Garage, all of whom are playing my birthday party tonight. It also features brand new music from plenty of bands you know, as well as a few you might not. I’ll leave y’all to the music after a quick request. If you like what you’re hearing on these podcasts, tell you friends about it. Post about it on your Facebook wall. Tweet about it. These bands are all pretty small so every new ear their music find counts, and you can directly assist them in that effort by telling people about this podcast and others like it. So, your challenge for the month of May, should you accept it, is to tell 5 people you think would appreciate this music about a podcast or website. I’d love if it was the 9B Podcast or ninebullets.net, but it doesn’t have to be. Hey everyone, just a reminder that if you enjoy these podcasts, we do a weekly radio show on Thursday nights here in Tampa/St. Pete on 88.5. WMNF. The show is on from 10pm – 11pm and can be heard live via the internet via wmnf.org. And should you miss the show, no worries! It’s available all week via the archives.